What does Rev-Henry Bates teach? We believe in G-d, the Living Spirit Almighty; One, indestructible, absolute and self-existent cause. We believe in the incarnation of Spirit in everyone and that all people are incarnations of the One Spirit. We believe that Heaven is within and that We experience It to the degree that We become conscious of it. We believe that G-d is personal to all who feel this indwelling Presence. We believe that the abundant life is within reach of each of us and the way to its attainment begins with the realization that the Kingdom of G-d is within us, waiting for us to bring it into expression. We believe that we can bring this kingdom forth by practicing the universal spiritual principles revealed through the ages and taught by the Master Mind Jesus and woven through the evolutionary science of mind. We believe that our experiences are the reflections of our beliefs and therefore the key to happy and successful living is right thinking followed by right action. We believe that the basis for right thinking is Love – Love of G-d and Love for everybody. We believe that by learning to listen to the whispering of the “still small voice of the Spirit within us” will ensure that we are guided in right action. We believe that the time has come to make available to all people everywhere a teaching that will enable them to provide for themselves by learning to release the divine potential within them. Your faith offerings to this ministry are much appreciated. Thank you for blessing us and so many others. Click "Donate" to use your credit or debit card to make a faith offering to this ministry. 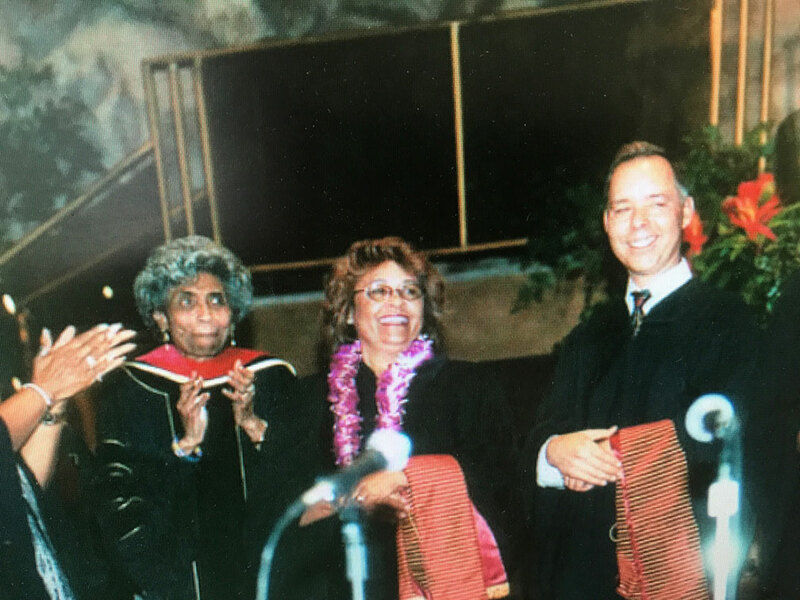 (Right) Dr. Juanita Bryant-Dunn and Dr. Robbie Golshan Smith. "living the way to a wonderful life"
"Rev Bates en Español, La Ciencia De La Mente"
Every human being is an expression of the divine; the Christ Spirit, by whatever name, indwells all people. Their very essence is of God, and therefore they are also inherently good. Human beings create their experience by the activity of their thinking. Everything in the manifest realm has its beginning in thought. Prayer is creative thinking that heightens the connection with God-mind and therefore brings forth wisdom, healing, prosperity and everything good. Please consider sponsoring a child through Children, Incorporated. Prior to studying for the ministry, Rev. 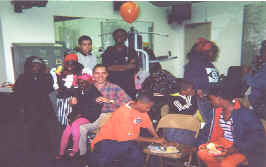 Bates spent 8 years as a volunteer in a social service organization as a self-help meeting facilitator/program developer. 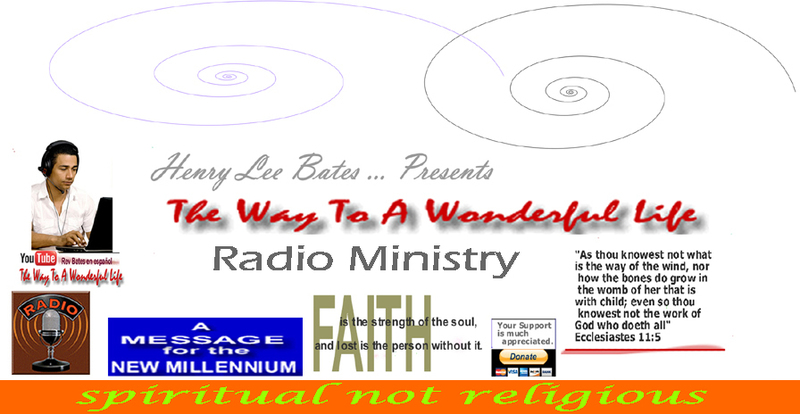 He is the founder of RevBates.tv a virtual ministry now in its 16th year on the Internet, Rev. Bates was greatly influenced by Dr. Robert H. Bitzer, Founder of the Hollywood Church of R.S. and a master teacher of Absolute Principle. Rev. Bates studied with Dr. Domenic A. Polifrone at the Hollywood Church of R.S. and advanced studies with Dr. O. C. Smith and Dr. Juanita Bryant-Dunn at the City of Angels Church of R.S. in Los Angeles. Dr. O. C. Smith greatly influenced the substance and the way in which Rev. Bates presents the teachings that can set us free. Rev. Bates was awarded an Honorary Doctorate in May, 2007 sponsored by Dr. Robbie Golshan-Smith.